Be Active, Be Healthy and Be Safe! Autumn provides more than just falling leaves and dropping temperatures. 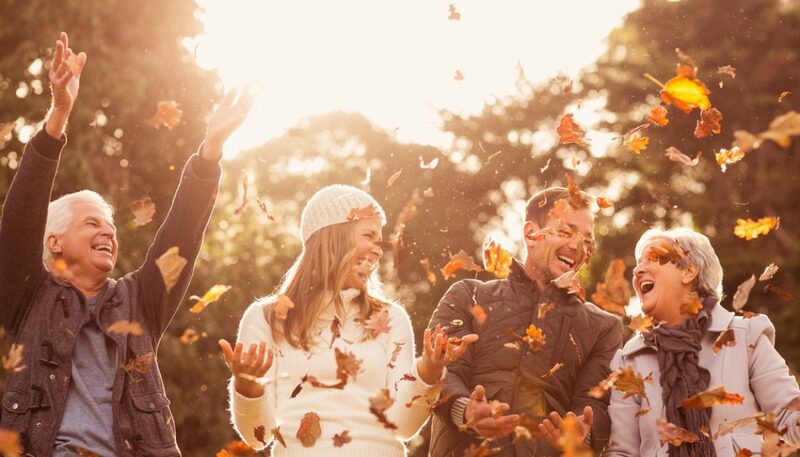 The change of seasons from summer to fall can also bring changes to your health. Researchers know that when seasons change, a different group of viruses seem to flourish, which is why people get sick. Some viruses seem to flourish in cooler weather, possibly giving you a cold or worse yet, an even more difficult virus. “One way to lessen your chance of getting sick is good hand washing habits, which helps prevent infection and sickness. It also pays to stock up on antibacterial products such as soaps and wipes during the fall,” said Abbie Tucker, senior advocate and client services director, certified senior advisor (CSA) and a qualified dementia care provider (QDCP). In the fall, seniors also need to dress appropriately to help prevent illnesses. Older people have a harder time staying warm due to decreased circulation in their veins and arteries. Some medications also reduce circulation in the hands and feet. So make sure there is a supply of warm clothes to prevent that chilly feeling. The goal is to go into the winter season strong and healthy. The exposure to the dampness or becoming chilled can lead to complications of current health problems, or the development of new illnesses. A greater risk of falls and related injuries is also something to be aware of later in the year. Although you may want to enjoy the fall weather by taking a walk, be alert for slick sidewalks and keep floors dry when coming in from outside. And don’t underestimate the impact of cabin-fever and loneliness. It is very important for human beings to get out and about and interact with others–for their physical and emotional well-being. Make sure you and your loved ones can receive the assistance needed to stay active and involved in the community, even through a Chicago winter. Senior Helpers can provide caring, professional caregivers for you or your loved one from one hour a week to round the clock care, even if it is just for the fall and winter.